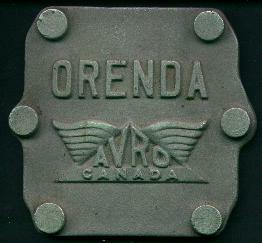 If you have any of the items below or something else related to AVRO Canada that you are interested in trading, selling or donating, please contact me via email (please keep in mind that AvroLand is a personal venture with no government or corporate sponsor, as such funds are limited) -- If you are looking for some AVRO Canada related items, please let me know as I may have something you are after. AvroLand currently has over 1,000 aviation magazines featuring non-Avro aircraft so if there is something else from the 1950's you are after feel free to ask as well. If you worked for or with AVRO Canada or their aircraft and want to tell your stories to those interested in them please contact me.